The i20 is built with a 2.0” screen in, which helps you adjust the setting of camera and play back the videos and photos you just captured anytime anywhere. 2. 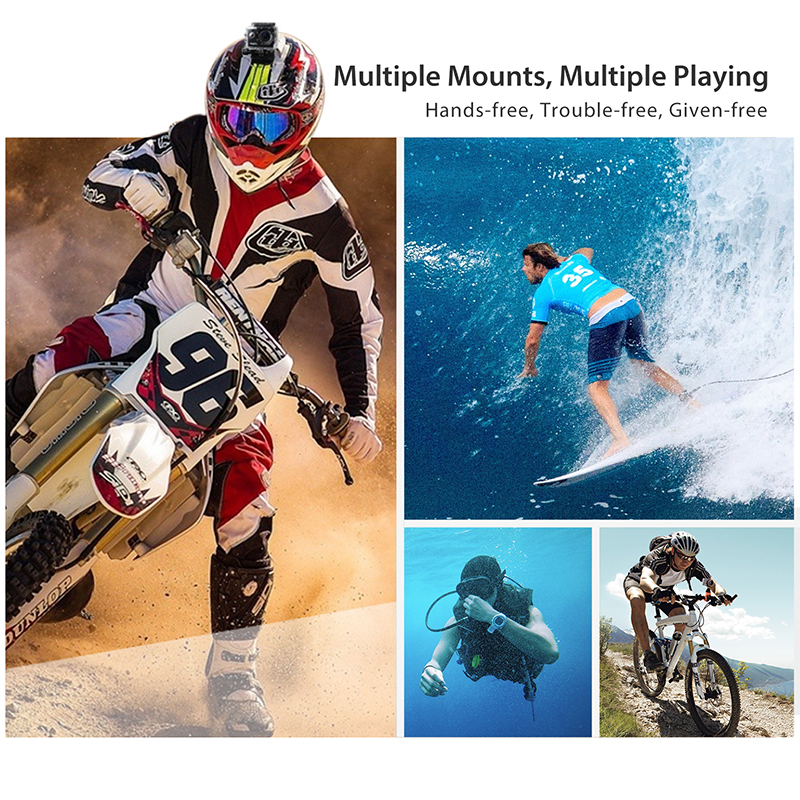 1080P 30fps Full HD Videos Record 1080P 30fps high-resolution video and support looping recording. 3. 12MP Photos, Various Photo Modes Single shooting, Self-timer, Photo burst, Time-lapse photo. 4. 12MP Photos, Various Photo Modes Single shooting, Self-timer, Photo burst, Time-lapse photo. 5. Waterproof up to 131 feet (40 Meters) Equipped with a professional IP68 waterproof housing, i20 is able to withstand high-power water pressure deep to 131 feet (40 meters). 6. Time-lapse Photo Form a changing scene by taking a continuous photos at the interval of 2/3/5/10/30/60s 7. Miniature and Delicate With a 57 gram light weight, the i20 is a delicate gadget perfect for freely shooting. Just slip it into your pocket, wear it on your body and mount it on your gear. 8. Multiple Mounts, Many Use ThiEYE releases various unique mounts for the i20. It is compatible with all our mounts for attachment to the helmet, bike, backpacks, wrist, etc.